I’ve been away for awhile. I can’t tell you how much I’ve missed writing reviews for my CGG friends. I started a new job in late January, and it’s really kept me off balance. I think it takes a good 90 days or more for you to get your feet under you in any new job. The first few weeks are the "what have I done?" stage. The second month or so is the "you do it HOW?" phase. By the third month, you start getting your own systems and routines in place and things begin looking up… somewhat. Once I had about four months under my belt, I started asking Tracy for assignments again. That’s when she threw me a bone with Dark Dimensions: City of Ash. I say, threw me a bone, on purpose because this one seemed like a real dog. A game about a volcanic mining disaster? Fun times. How can that be interesting? Well, let me tell you, it is. I’ve never been so glad to be wrong about a game. Dark Dimensions: City of Ash is a sort of latter day Vesuvius. Yes, naming the town Phoenix Hill is a little corny (we get it, Phoenix rising from the ashes), but that incredibly minor knock is about the only thing I can hold against this well written, action packed game. The backstory involves a volcanic eruption in Phoenix Hill brought on by mining that caused instability. Throughout the game you piece together the narrative, which reveals that a young woman, Audrey, protested the mining and tried to spare the town its awful fate. Her activism pit her against her own father, the Mayor of Phoenix Hill. 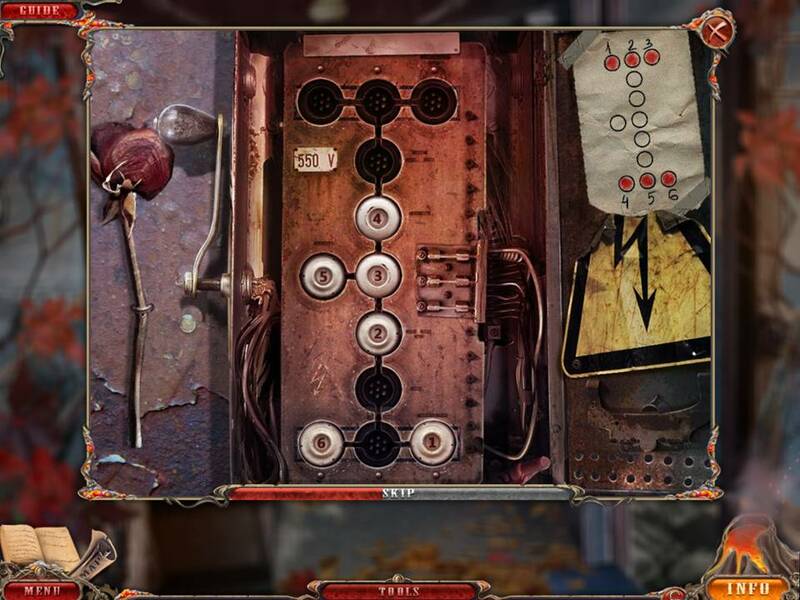 The story of Dark Dimensions: City of Ash is fantastically crafted in that it allows you to discover bits of data, through notes and photos, as the story progresses. For example, when you encounter the ghostly Audrey in the beginning, you assume that she is a tragic victim of the eruption just like the other townsfolk. As you move through the game, however, you find a notice for Audrey’s funeral. Hmmmm. So, she died BEFORE the tragedy. A mystery game that actually contains a truly captivating mystery. Gotta love it. 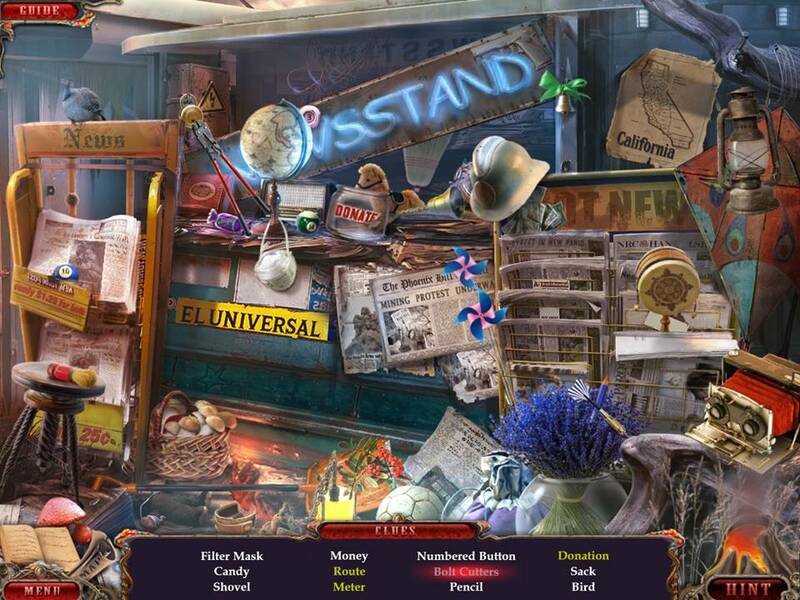 The little touches are evident everywhere and much appreciated by someone like me who thinks she’s seen it all when it comes to hidden object adventure games. At one point, you discover Audrey’s diary. In flipping through the pages, you see the handwriting of an altruistic, starry-eyed teen who dots her I’s with flowers. That sort of detail sets this game apart from your run-of-the-mill offerings. The graphics are exceptional, but frankly, I expect that. If you haven’t brought your artistic "A" game, go home. The hidden object areas are fun. I like the fact that for the ones that require a double action both items are listed, rather than one. I hate when you see an HOA item in yellow that reads "glass shards," but you’re left to figure out how to get them. Rock in window? Hammer in mirror? At least in Dark Dimensions: City of Ash, the "hammer" is listed in the items to find tray. Inventory items are of the "use once and it’s gone" variety, which I think is a little annoying. In real life, I don’t use a pair of scissors and then have them disappear, forcing me to find a "box knife" to cut cloth later in the game. 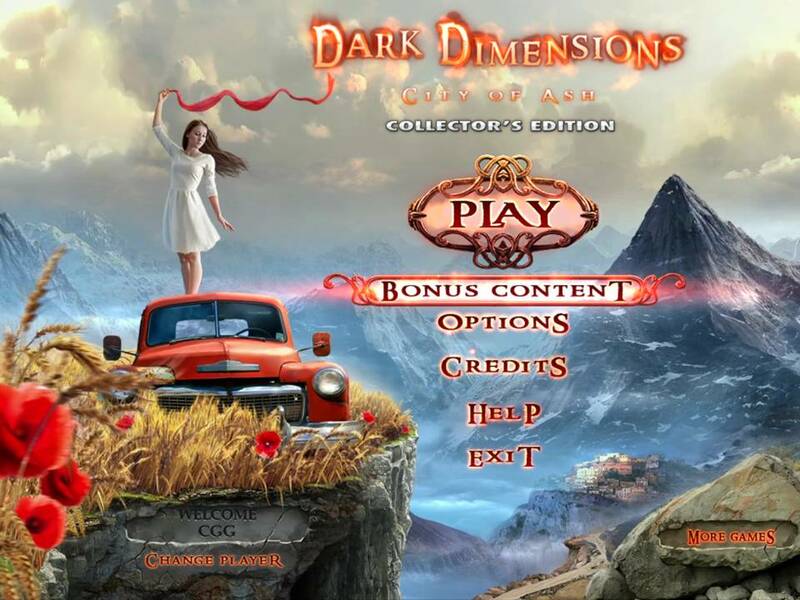 In Dark Dimensions: City of Ash, you’ll find a great strategy guide and a wonderful map. I especially appreciated the fact that the map shows all the locations right off the bat rather than just the ones you’ve "unlocked." I like to get a real sense of where everything is in a game, and it’s nice to have a complete map from the get-go. The mini games are challenging and, for the most part, logical. Anytime I can solve something under my own steam I’m pleased. Random games are a real pet peeve. As far as I’m concerned process of elimination isn’t really a "game." If you, like me, find the idea of a mining disaster game to be a bit depressing, don’t let that stop you. Dark Dimensions: City of Ash is one great game. Trust me. You’ll "dig" it.